We understand the challenges associated with borrowing for many Christian communities. From assessing loan serviceability to the specialised nature of the church property, there can be many obstacles to overcome. That’s why CCFS can help you with your project. Whether its for the purchase of a new property or church manse, renovating or upgrading, contact CCFS to discuss the options available to you. Loan rates are variable with interest calculated daily and charged monthly. A fee-free* everyday account that can have cheque, BPAY, direct entry and online access (via CCFS Online). Deposits can be made at any Westpac bank branch with your pre-coded deposit slip. A fee-free* higher interest cash management account linked to your Easy Access Account that enables you to ‘park’ surplus funds. This account is only accessible via CCFS Online with transfers to and from your Easy Access Account. This account is not intended to be a transactional account. It is intended to be a place to invest surplus funds or funds that might accumulate over time for a mission’s project, building project or until funds are needed for operations. An Easy Access style fee-free* everyday account that can have cheque, BPAY, direct entry and online access (via CCFS Online). The operations of this account are required to be in accordance with the Recommended Terms and Conditions of Employment of Ministers document. 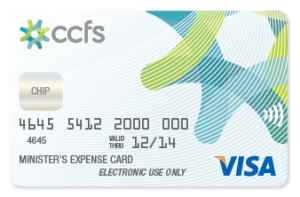 A prepaid Visa Card for Ministers’ Exempt Fringe Benefits. Issued by Indue Ltd, these cards can be topped up online via EFT and because they are affiliated with Visa, can be used for purchases overseas, online or anywhere Visa is accepted. A Product Disclosure Statement (PDS) can be obtained by contacting the CCFS office and it is important to consider the PDS when deciding whether the MEA Visa is appropriate for your Ministry staff. Ministers and employee’s entitlements represent a significant component of their remuneration. For churches and agencies, these entitlements represent a liability that must be reliably funded and paid out at some time in the future. In this regard, ministers and employees seek tangible assurances that their entitlements are secure and as good stewards, churches want to give these assurances. CCFS provides the solution, with a structure for funding and securing minister and employee entitlements that is independent and unexposed to the financial position of the church. For more information refer to the Useful Information section of the Resources page on this website. Available for churches, departments and affiliated organisations that have surplus funds but don’t want to use those funds to reduce the loan balance. Surplus funds can be deposited in this offset account at a higher interest rate, with the interest on these surplus funds offset against the loan interest. CCFS Business Banking provides churches and organisations with the opportunity to transact online with enhanced security features that allow multiple authorisers. ‘Business Banking’ is available through the CCFS website Online Access portal with all the usual online functionality including BPAY, EFT and viewing account information such as balances and account transaction history. Contact information can also be updated online. 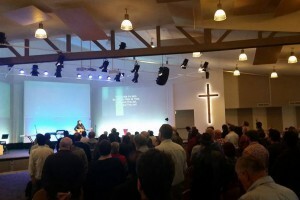 CCFS has entered into partnership with a major Australian Bank to provide Churches and related organisations with the option of receiving payments and offerings via EFTPOS. Terminals can be either fixed (landline) or mobile (utilising Telstra’s 4G network). Our partnership has resulted in discounted pricing, reduced paperwork and less onerous eligibility criteria. Now your church or organisation is able to receive payments and offerings anywhere, increasing convenience and hopefully boosting donations. Church members can download the app from the Apple or Android store and begin giving to their church straight away. 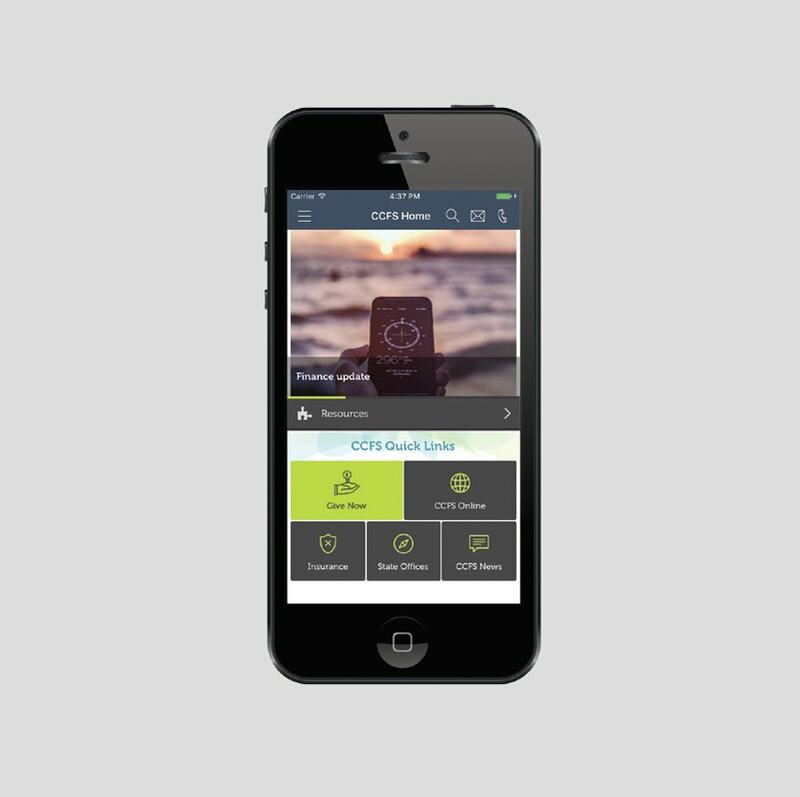 The CCFS Giving App helps prepare churches for the rapidly changing giving environment. The Churches of Christ group pricing plan was discontinued in July 2017. Churches on the plan at that time have been able to continue with existing arrangements. If your church is considering Pushpay you can contact Pushpay directly via their website. Organisations have the opportunity to bundle CCFS merchant facilities and the CCFS Giving App and receive a discount. Please refer to our Interest Rates & Fees page for further details.